I’m covering the best of live music in The Bay this week! Check out the list Monday through Sunday. The much-revered indie/psychedelic outfit out of Baltimore makes their return to the Bay Area for a special show performing their classic 2004 album Sung Tongs in its entirety. While the band is preparing to release their 8th studio album as Animal Collective (three previous albums were released under the names Avery Tare and Panda Bear, and Campfire) there are bringing it back to the early day of their career with Sun Tongs, and those early comparisons to the Beach Boys. But a lot has changed for the collective since then. From art installations at the famed Guggenheim in New York, to playing for millions on TV, to writing credits on The Simpsons, the band has come along way over the past 15 years. Catch them tonight at the Fox in Oakland reliving their early days. 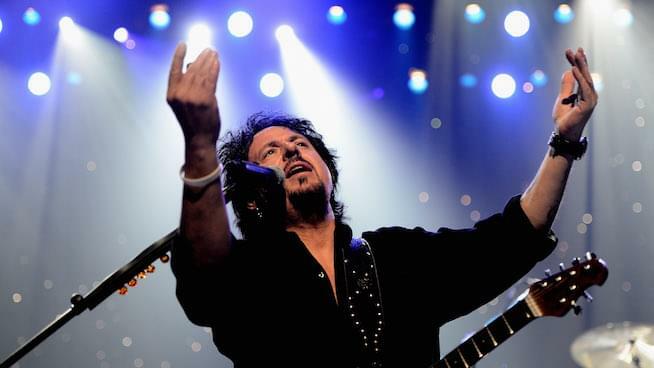 While Toto’s heyday may have been in the 80’s, the band has never really gone away. The are currently enjoying a major resurgence thanks in part to that little diddy they put out some 36 years ago named “Africa” that somehow became the theme song for the internet. Weezer recently released a cover version of the song that propelled them to their first song on the Hot 100 chart in over 10 years. There’s some magic to “Africa” apparently. Toto revealed late last week that they would repay the favor of the cover to Weezer by releasing a cover of Weezer’s “Hash Pipe”. Maybe if you’re lucky they’ll play it at Friday’s show *fingers crossed*. Are you ready to feel old? 2018 marks Sublime’s 30th anniversary as a band, and although they have been without lead singer Brad Nowell since 1996, the band has remained one of the biggest influences on modern rock music. Reformed in 2009 with Fremont native Rome Ramirez taking over the role of lead singer/guitarist, the band has steadily toured throughout North America and recently released their latest single “Wicked Heart” with plans for a new album later this year.